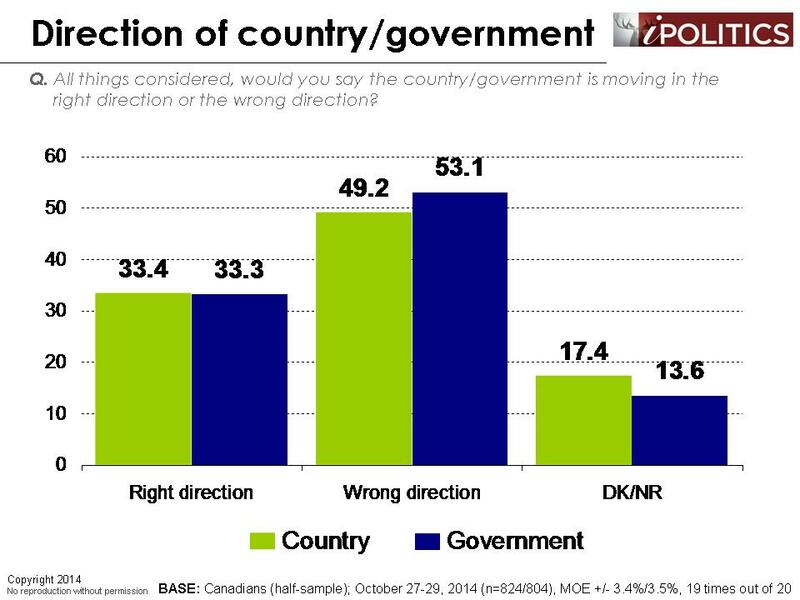 While his approval rating remains mired below 30 points, Mr. Harper has seen some softening of his disapproval, suggesting that some of those sitting in the disapproval camp are moving to “not sure”. 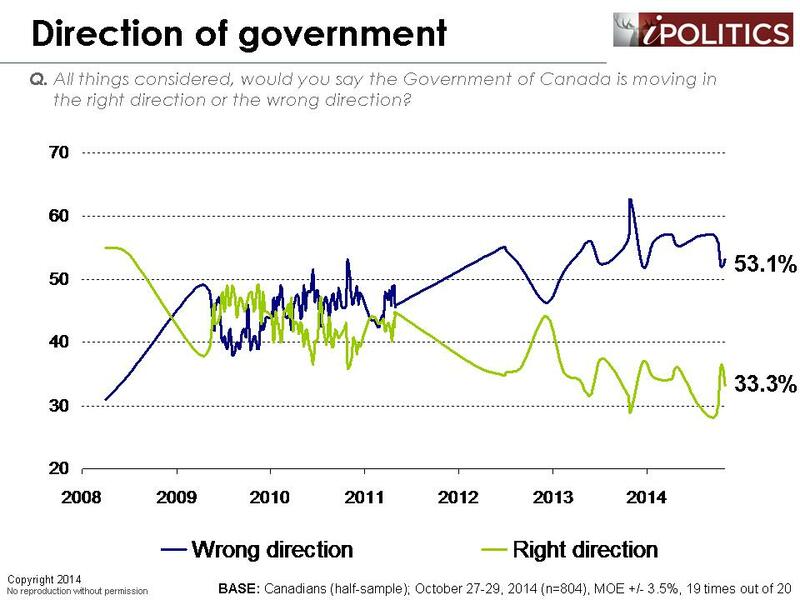 Mr. Mulcair and Mr. Trudeau, meanwhile, have seen modest declines in their approval numbers. 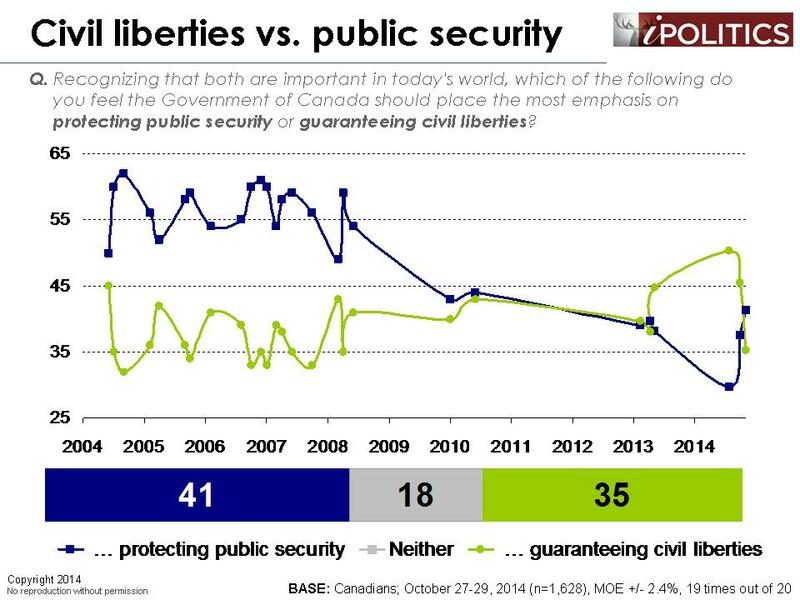 Indicators of the relative salience of security over civil liberties show a clear rise in the security priority. 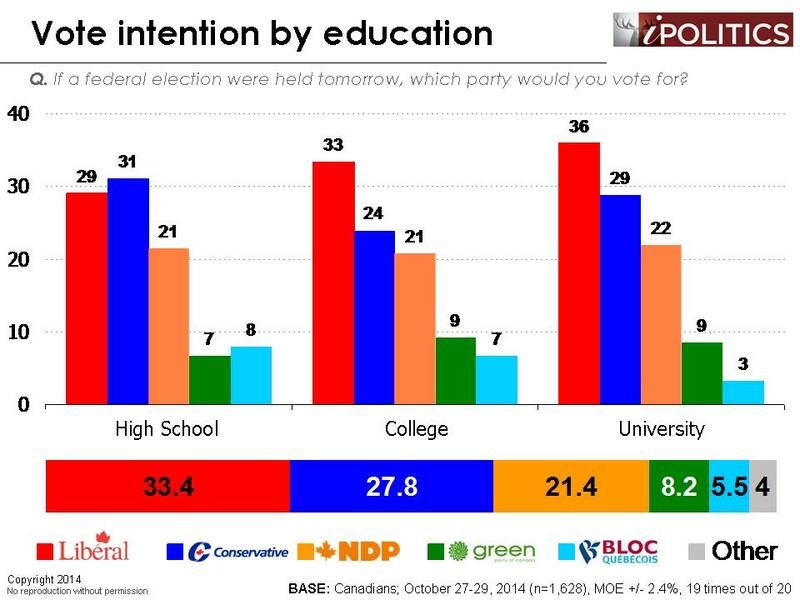 It is not clear how stable this is and it is still well below levels registered after September 11th, but it does favour the Conservative Party. 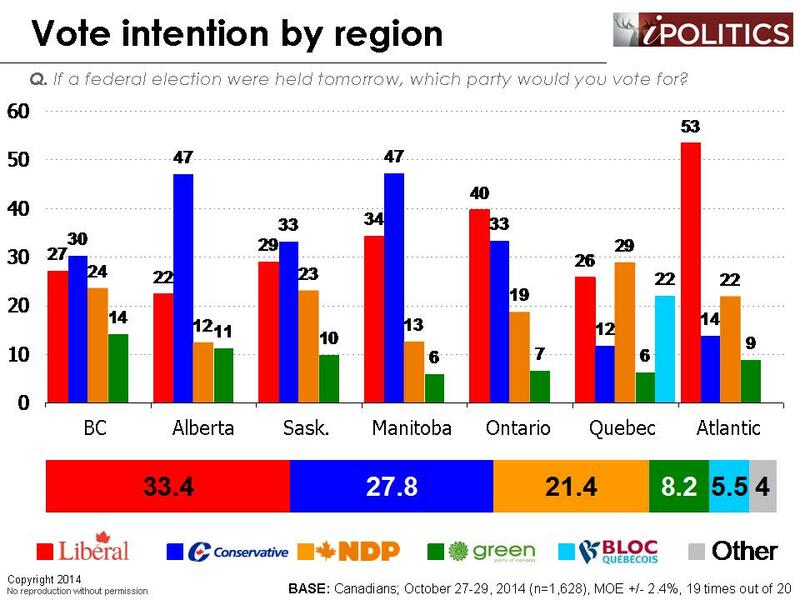 Regional and demographic patterns show a much more favourable outlook for Stephen Harper (who leads throughout the west) and a narrowing of the large gap in Ontario. He has also regained the lead with seniors who were critical to his 2011 victory. 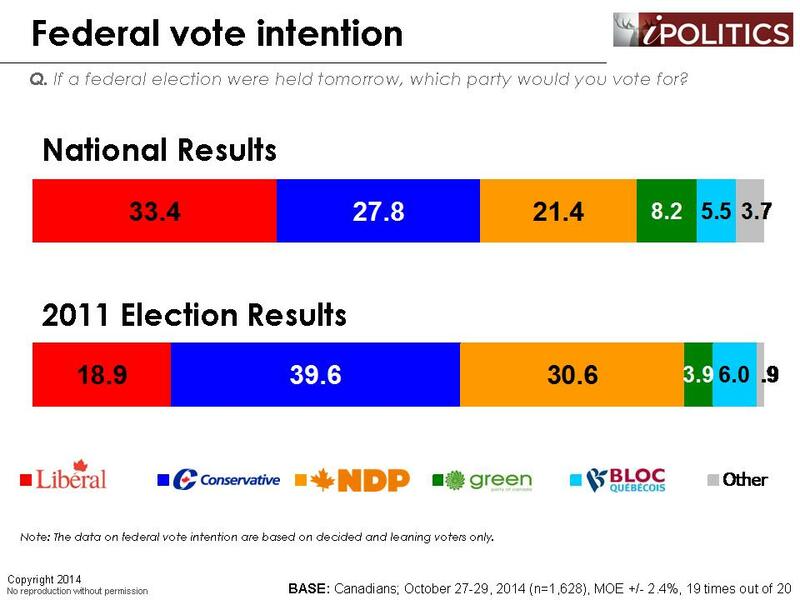 While too early to judge how stable these movements are, they alter the political calculus to make it somewhat more favourable to Stephen Harper. Whether these trends stabilize or strengthen will be extremely important to watch in coming weeks. In our latest poll, we’ve updated our tracking on approval of each of the three federal leaders and we’ve noticed some subtle but important differences between the results from our Probit surveys and our HD-IVR™ surveys. 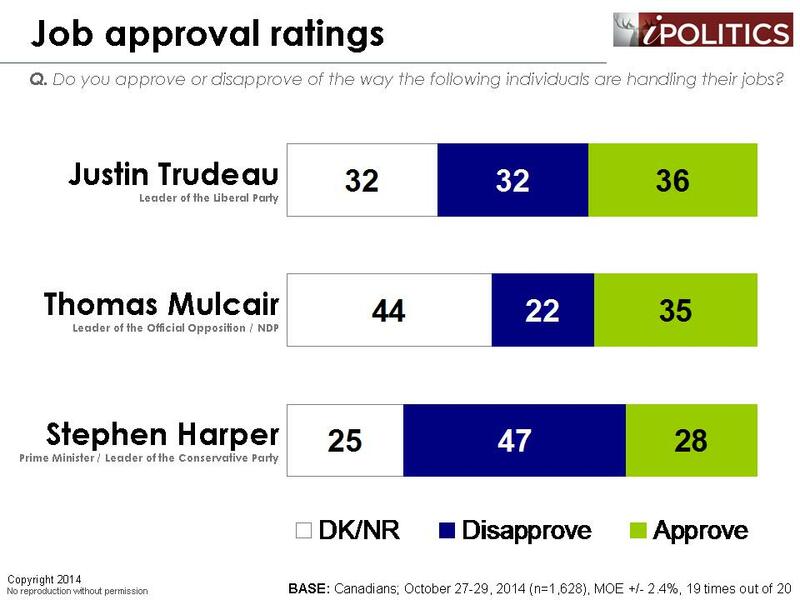 In short, approval ratings for the progressive leaders – Justin Trudeau and Thomas Mulcair – are consistently lower under HD-IVR™, while Stephen Harper’s disapproval rating is also somewhat lower. In the coming days, we are going to be putting out a note on mode effects, which appear to be restricted to approval. The field dates for this survey are October 27-29, 2014. 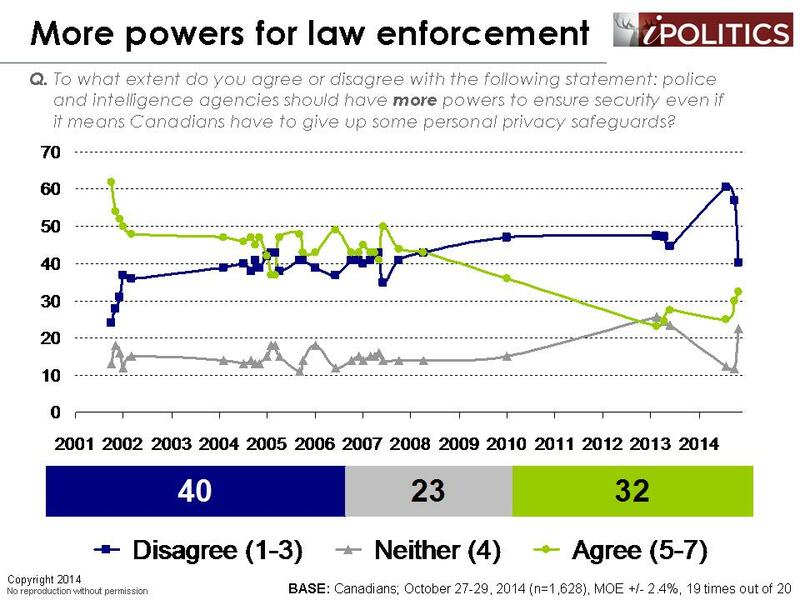 In total, a random sample of 1,628 Canadian adults aged 18 and over responded to the survey. The margin of error associated with the total sample is +/-2.4 percentage points, 19 times out of 20.